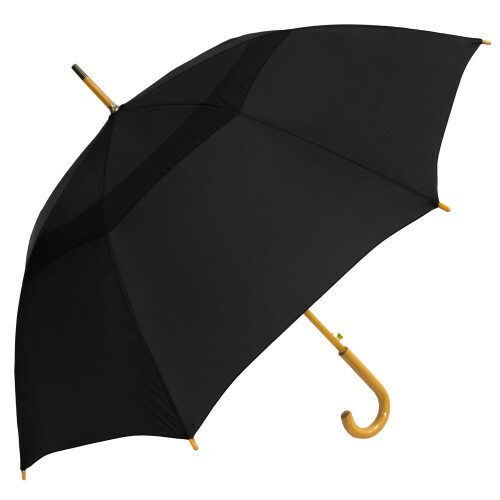 Modern function meets classic design with the automatic opening custom umbrella! With a 48” arc, this distinctive personalized umbrella features a vented canopy with fiber-glass ribs and a deluxe curved maple "J-shaped" wood handle. A perennial favorite for those with exceptional style and refined taste, this promotional umbrella folds to 35” for convenient storage. Available in Black, Burgundy, Hunter Green, Navy Blue and Red, this fashion forward umbrella comes with a matching fabric case and shoulder strap.